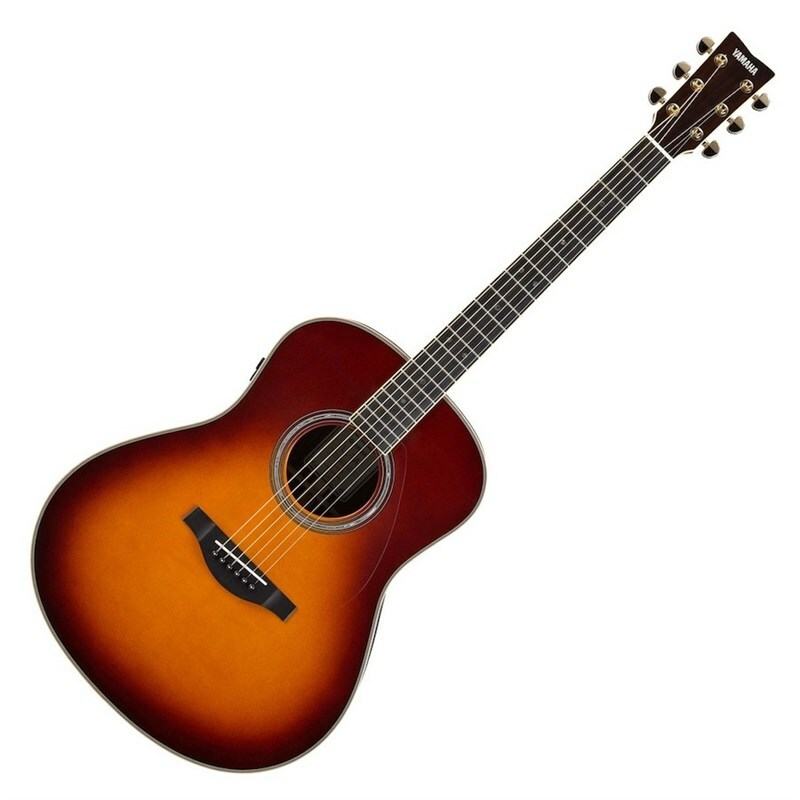 The LL-TA Dreadnought Electro Acoustic is a groundbreaking new guitar concept from Yamaha constructed of a solid Engelmann Spruce top (featuring Yamaha's A.R.E. treatment,) paired with solid rosewood back and sides. On the inside of the body of the guitar you will find an actuator, an innovative addition which reacts to the vibration of the strings, ringing out with each note played from the guitar. Onboard you will find a SYSTEM70 Transacoustic+ Piezo Pickup featuring three controls; Reverb, Chorus and Line Out Volume. 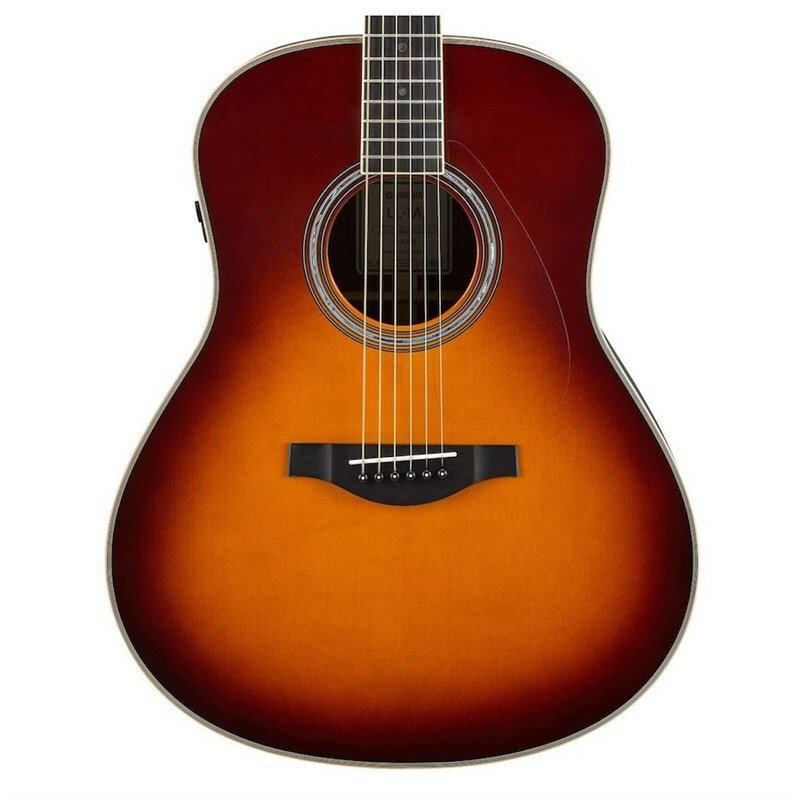 The guitar comes in a beautiful Brown Sunburst finish. There's nothing more inspiring than playing guitar in a great sounding room - it makes you play better, longer and with more creativity. 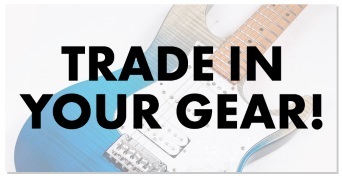 The Yamaha TransAcoustic Guitar recreates that incredible experience without needing any external amplification or effects, just the guitar itself. It's the most inspiring acoustic guitar you've ever played. Three simple knobs let you adjust the degree of effect applied and the lineout volume level. Additionally, keeping the controls small minimizes the area of the holes in the body material, reducing acoustic sound loss. (A) Chorus Control (B) Reverb Control (Room / Hall) (C) TA Switch / Line Out Volume Control * Pressing the TA Switch for more than 0.3 seconds activates the TA function. When a cable is connected to the line-out jack, the lineout volume can be adjusted by rotating the (C) knob. * The reverb type switches from Room to Hall around the 12:00 position. The body is an all-solid guitar based on the L-series. A modified non-scalloped bracing design retains the L series’ characteristic bright tone while enhancing the low end. Treating the tops with Yamaha’ s exclusive A.R.E. process gives the instrument a rich, vintage quality tone, making it sound as though you’ d been playing it for years, from the very first moment you pick it up. 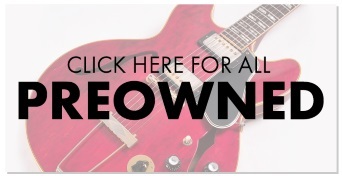 The fact that this guitar has been designed with an insistence on sound quality is what allows it to produce effected sounds that feels pure and natural. Straighter neck taper and hand-rolled fingerboard edges result in an instrument that can be played for hours without any stress. The 5-ply neck design featured in all TransAcoustic Guitars is constructed of rosewood and mahogany plies with a double-action adjustable rod, creating a strong, stable neck that resists warping. Top Material: Solid Engelmann Spruce A.R.E.